Roof repair is the one thing that seems to be on the mind of most homeowners prior to roof replacement. We’ve met homeowners who postpone repairing or replacing their roofing in Raleigh NC, believing that they’re saving a significant amount of money by doing so. But trust us, in many cases, the opposite actually happens. Prompt action is essential to maintaining your roof and extending its life span. Performing a repair or replacement now prevents more trouble and expenses down the line. There’s a reason the National Roofing Contractors Association recommends that you have your roof inspected at least twice a year. Because it’s part of your home that is constantly exposed to the elements, you may find it difficult to keep track of damage unless you perform routine checks. The earlier you detect problems, the sooner you can make fixes to restore your roof. We don’t suggest ignoring even minor issues (such as small leaks) because these could turn into much bigger problems later on. Keep in mind that the longer you put these issues on hold, the more costly and exhausting to repair they could become. 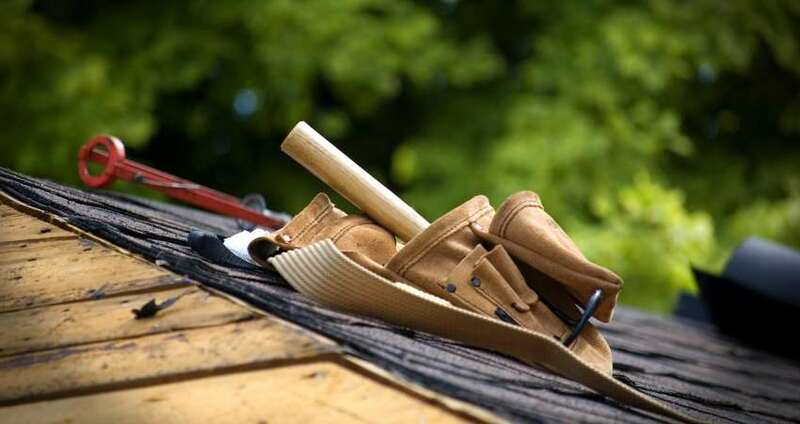 If, during an inspection, you find that your roof is beyond repair (e.g., half of the shingles have been blown off or the decking is thoroughly rotted), it’s not a good idea to delay replacement either. Getting a new roof now prevents further damage to the rest of your home. At Consolidated Roofing Systems, your Raleigh roofing and insulation experts, we can assist you with financing options aside from insurance and manufacturer warranties, we also cover our workmanship with a 10-year warranty. All roof repairs from Consolidated Roofing have 1 year workmanship warranty! Invest in better-quality roofing systems and professional installation. A roof that’s installed properly reduces the chances that you’ll need constant repairs. It’s also more cost-effective; the fewer repairs you’ll have to make down the line, the more money you can save and spend elsewhere. Timely repairs can also add value to your home. These days, smart home buyers look for evidence that the house is well-cared for rather than full of fancy additions or remodels. In other words, they look for signs of routine maintenance. According to an article in HouseLogic, a worn-down house that shows poor maintenance could lose approximately 10% of its appraised value. Basic updates such as fixing your roof when it leaks add the most value to your home. As evidenced by this year’s “Cost Vs. Value” report by Remodeling magazine; projects that improve the basic parts of the home—including the roof—give back the highest ROI percentages. For instance, a midrange roofing replacement in the South Atlantic recoups up to 72.7% of your investment. That’s significantly higher than the addition of a sun room or a home office remodel, which gives back 53.1% and 52.2% of your investment, respectively. If you’re planning to sell your home, schedule roof repairs or replacement during the spring (or earlier). According to Trulia, an online real estate specialty site, summer is the time when real estate is the hottest, which makes spring your last chance to do any last-minute improvements on your home. When it’s time to repair or replace your Raleigh roofing and you find yourself on a tight budget, talk to us about our financial plans. Here at Consolidated Roofing Systems, we have a wide range of financing services available. Call us today at (919) 851-3456 to determine the option that best suits your needs! Roof repair is the one thing that seems to be on the mind of most homeowners prior to roof replacement. Great post! I learned a lot about the benefits of roof repairs by reading thisa article. I really like how you explained that ” A roof that’s made with more advanced materials and that’s installed properly reduces the chances that you’ll need constant repairs later on. It’s also more cost-effective; the fewer repairs you’ll have to make down the line, the more money you can save and spend elsewhere.” My mom has had her roof replaced recently and she said that it has helped her save money since she has had to make less repairs on it recently. My wife and I are selling our home. We have been trying to come up with ideas how to improve the value. We didn’t realize that just doing repairs on damaged areas could improve the value. That’s an option we’ll keep in consideration. In your article, you stated that there’s a reason the National Roofing Contractors Association recommends that you have your roof inspected at least twice a year and because it’s part of your home that is constantly exposed to the elements, you may find it difficult to keep track of damage unless you perform routine checks. When I came home from work last night I found some shingles from our roof that had fallen off during the storm. I wonder if there are roofing materials that might be more durable during severe weather.